The new Apple campus in Austin, Texas, will start with 5,000 employees. AUSTIN — Apple is getting bigger in Texas and says it plans to build a $1 billion campus in Austin. The company released a statement and held a press conference at its North Austin office on Parmer lane Thursday morning, saying its plans also include establishing locations in Seattle, San Diego and Culver City, California, with more than 1,000 employees at each. 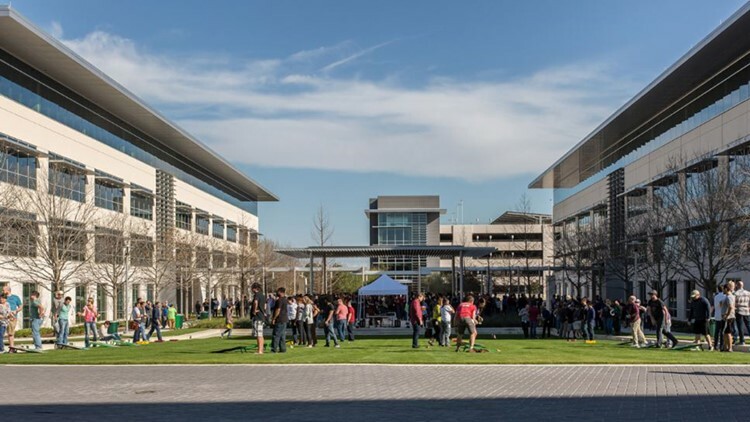 The tech giant, which is based in Cupertino, California, says the new campus in Austin will start off with 5,000 employees and provide jobs covering engineering, research and development, operations, finance, sales and customer support. Later, the tech company said they expect to employ 15,000 workers, making Apple the biggest private employer in Austin. The new campus, which employees are expected to move into in three years, will be located on 133 acres of land -- 50 of which will be set aside for a nature preserve. The new site will be less than a mile from the current campus on West Parmer Lane in Northwest Austin. Apple officials said all of the buildings will be powered by renewable energy. 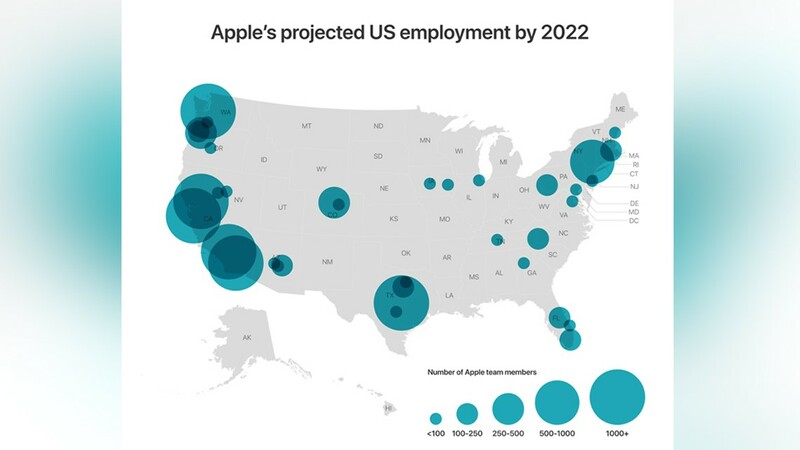 Apple said the company is on track to create 20,000 jobs in the United States by 2023. Apple's current facilities in Austin accomodates 6,200 workers, the company said. "This project does so much and elevates Austin as a primary tech hub in the whole world," said Texas Governor Greg Abbott. "We're proud it's located in the heart of Texas." Austin already is home to more than 6,000 Apple employees, representing the largest population of its workers outside of its headquarters. The new campus will double the size and employment for Apple in Austin. 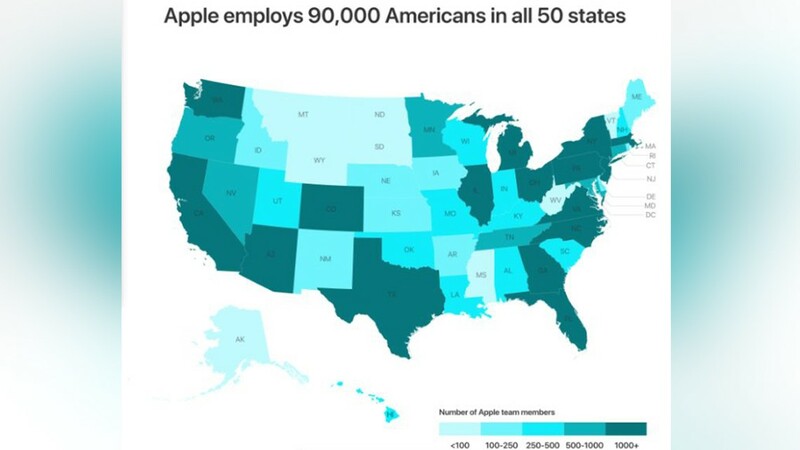 There are 90,000 Americans who work for Apple. The company also announced plans to expand in Pittsburgh, New York and Colorado over the next three years. Apple in Austin: How can you get one of the new Apple jobs? Apple in Austin: Does the city have enough housing to support 5,000 new jobs?